Time marches on, but the signs of aging don't have to. 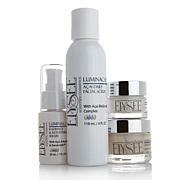 Take a break in your day for this advanced age-defying beauty regimen. Innovative ingredients target lined and sagging skin to optimize its elasticity, reduce the look of wrinkles and offer a smoother, more youthfully radiant appearance. 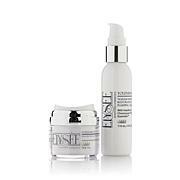 Discover the beautiful skin you've been wishing for — why wait? Juvinity is a registered trademark of Sederma, Inc. Ingredients: Water, Glycerin, Glyceryl Polyacrylate, Propylene Glycol, Albizia Julibrissin Bark Extract, Darutoside, Asparagus Officinalis Stem Extract, Butylene Glycol, Citric Acid, Acetyl Hexapeptide-49, Globularia Cordifolia Callus Culture Extract, Hyaluronic Acid, Cyclopentasiloxane, Dimethicone, Cucumis Sativus (Cucumber) Fruit Extract, Diazolidinyl Urea, Methylparaben, Propylparaben. Ingredients: Water, Adipic Acid/Neopentyl Glycol Crosspolymer, Amodimethicone, Dimethicone, Hydroxypropyl Methylcellulose, VP/VA Copolymer, Glycerin, Acrylates Copolymer, VP/Polycarbamyl Polyglycol Ether, Hydrolyzed Sesame Protein, PG-Propyl Methylsilanediol, Macrocystis Pyrifera Extract, Hydrolyzed Wheat Protein, PVP, Acetyl Hexapeptide-8, Hydroxypropyl Cyclodextrin, Palmitoyl Tripeptide-38, Euglena Gracilis Extract, Nylon-12 Fluorescent Brightener 230 Salt, Polyvinylalcohol Crosspolymer, Cyclopentasiloxane, Carbomer, Propylene Glycol, Diazolidinyl Urea, Methylparaben, Propylparaben. I have found the fountain of youth in a bottle I cannot believe how my 70 year old skin looks and feels. I have used other products, and they worked, but not as well as these. I have even bought the travel sizes to have on hand. 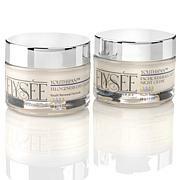 I will not be without Elysee . I do like this. These are good products and most things are irritating to my sensitive skin. This isn't and it does a great job. Recommended. 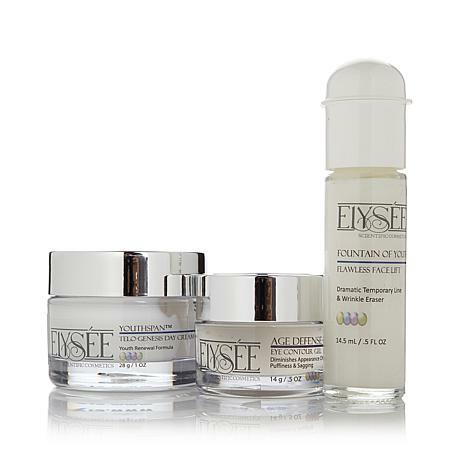 If you have not tried Elysee before, this is a good one to bring home. I absolutely love the way these creams make my skin feel. It is a fantastic buy! 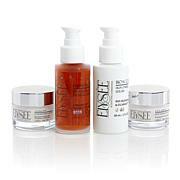 This Elysee trio is incredible! I followed the instructions and the very first time I used it I was astonished. My skin looked years younger. It was smooth, lifted and was the perfect base for my makeup which went on flawlessly. I am a very senior woman and have used many brands over the years and this was by far the best!! !